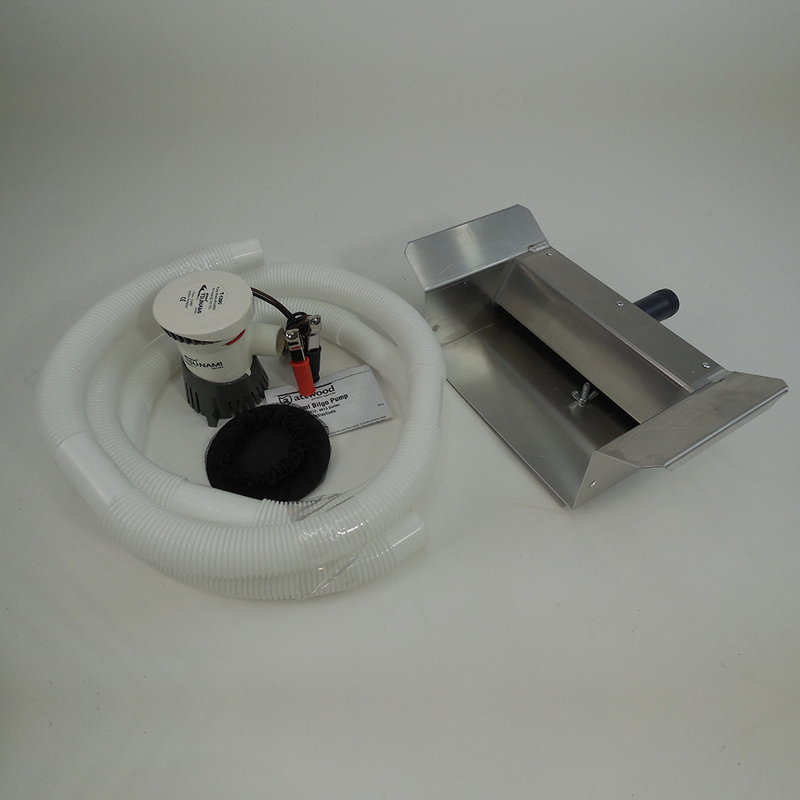 The 54″ Ultra Wide Sluice Box with everything you need to use in creeks and streams. Flare , Matting, Expanded Metal, Hungarian Riffle Tray and New improved quick release break down Stand, and Carrying Handle for easy transport. 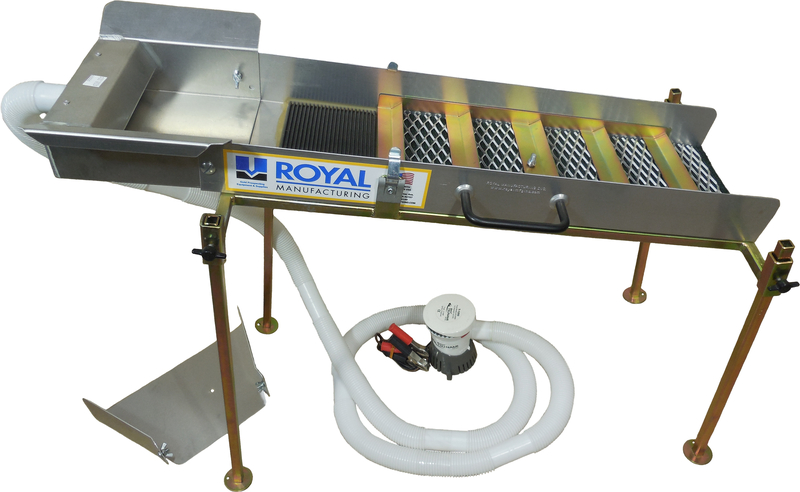 Also included is our first Highbanker/ Dredge ready Hopper to convert your Sluice into a Highbanker/ Dredge or both. This unit runs off of a 1 1/2″ gas engine not included. 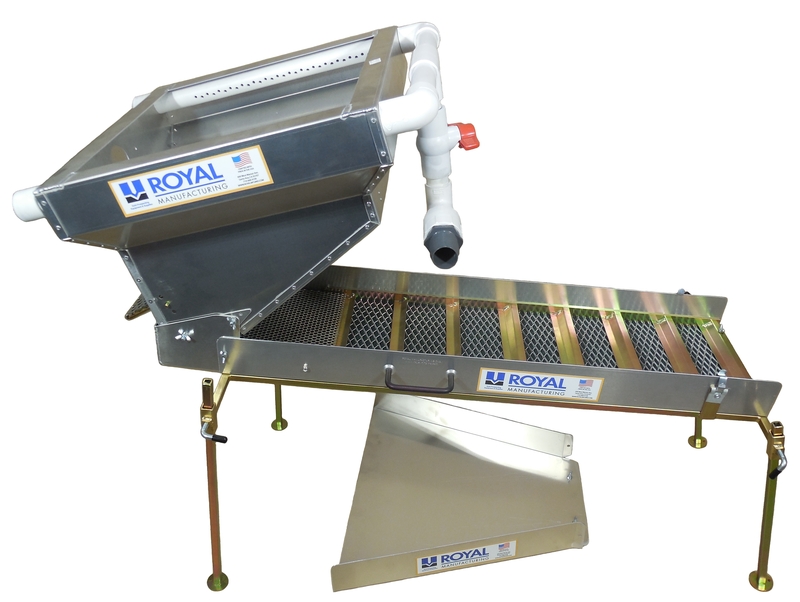 View this machine along with our 54″ Ultra Wide Sluice Box in acton! Go to the home page and click on our video gallery.